We write, we procrastinate, and we find the internet stacked with advice for us authors. Out of all I've read on storytelling it's George Orwell's six rules I believe every writer should know. 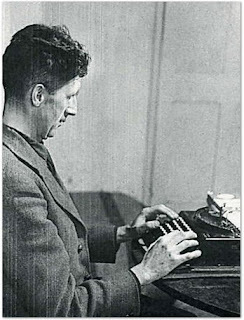 Orwell is of course the man behind two of the most classic stories in literature, Animal Farm and 1984. Incidentally, in June this year sales of the latter spiked following the scandal surrounding the National Security Agency's (NSA) collection of data from millions of phone and internet records. Published in 1949, this novel has proven to be somewhat prophetic. 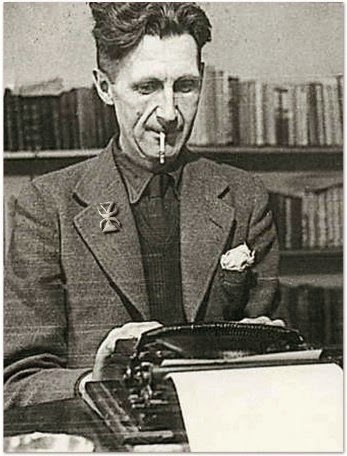 Big Brother is indeed watching us all... and if you're writing, imagine him looking over your shoulder making sure you follow Orwell's advice. The six rules are from his essay Politics and the English Language, and they are as true now as they were back in 1946. If we're honest, when writing we can easily allow some of these to slip through the net. Certainly, as writers we must ascertain why we choose a particular word or phrase instead of an alternative. 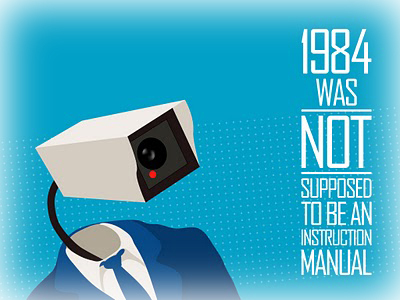 Having learnt what I've learnt, I now find it pretty damn hard these days not to spot others breaking Orwell's rules. When I do, the book is thrown on the floor by me. With each beta reader's keen oculus sinister and oculus dexter on The Shadow Fabric, I hope to hell I've followed these rules!